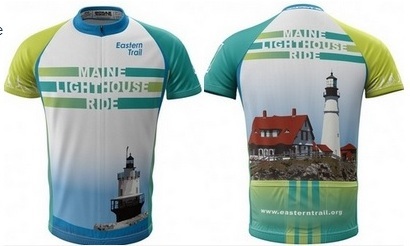 The Maine Lighthouse Ride benefits the Eastern Trail Alliance, an organization dedicated to building a 60-mile greenway from Kittery to South Portland, Maine. 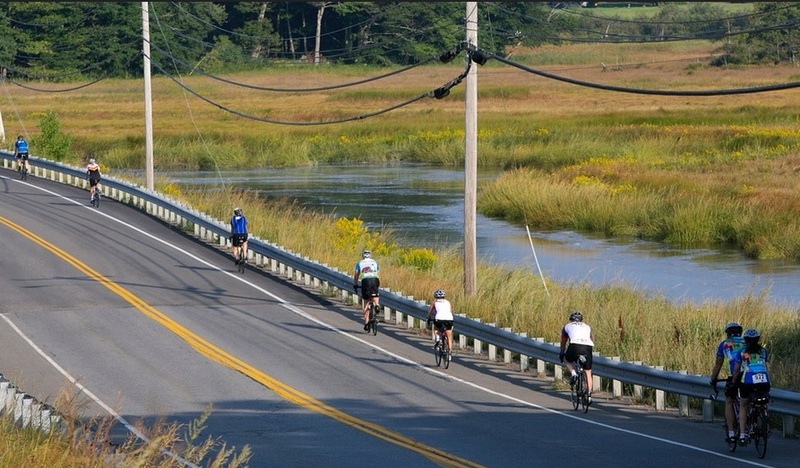 All rides begin and end at the beautiful oceanfront campus of Southern Maine Community College (SMCC) in South Portland. Rides are self-guided, with maps and cue sheets provided. Become an Eastern Trail Alliance member now and reduce your registrations costs. 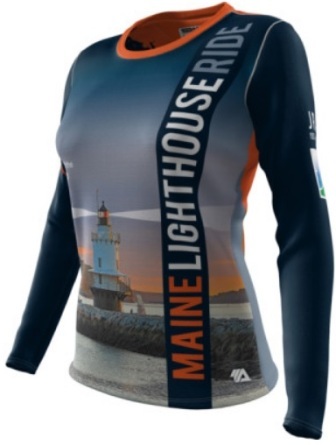 For our 15th Anniversary, each rider will receive a free pair of lighthouse socks. Online registration will close at 1200 registered riders - in past years we have reached that limit several weeks before the ride. Pre-registration is required - there will be no on-site registration. Please plan to arrive for sign-in an hour before your selected ride departs. Registration fees cannot be refunded or transferred to a future ride. 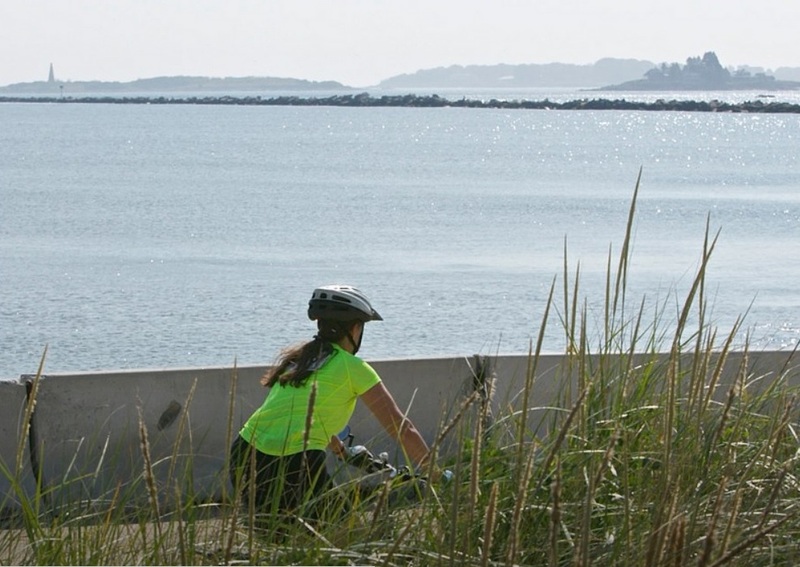 The 40-mile 8 Lighthouse Ride (8:00 AM) includes the South Portland Greenbelt as well as a spur to the 3-mile section of the Eastern Trail across the beautiful Scarborough Marsh, the largest salt marsh in Maine. For those of you who haven’t seen the trail yet, it is not to be missed! 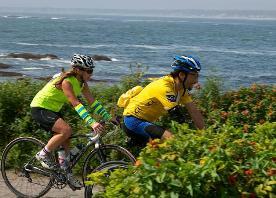 From there, the ride continues along the spectacular coastline of Scarborough, Cape Elizabeth, and South Portland, passing by three state parks, five gorgeous beaches, and two museums. 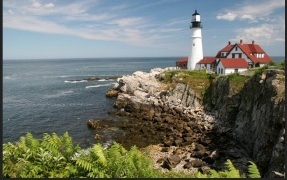 Eight historic lighthouses are visible from the route. 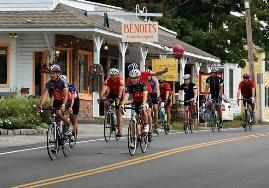 The 40-mile ride usually takes take 3 to 5 hours, with two rest stops provided. There is so much to see on this ride, you may want to take all day to finish it! 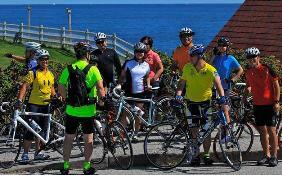 The 62-mile Metric Century 8-Lighthouse ride (7:30 AM) follows the route of the 40-mile ride, but continues down the coast through the summer resort of Old Orchard Beach to picturesque Camp Ellis. This ride usually takes 6 to 7 hours, and includes three rest stops. Flat to rolling terrain. This ride also includes a 3-mile crossing of the beautiful Scarborough Marsh on the Eastern Trail (crossed both going out and return trip). The trail has a fine, packed gravel surface which is suitable for road bikes traveling at 10 mph. The remainder of the ride is on paved public roads. 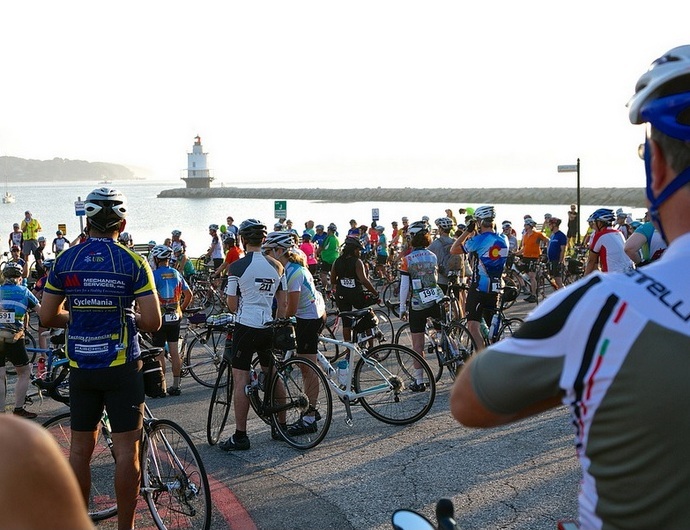 The 100-mile 9 Lighthouse Century ride (7:00 AM) includes all of the beautiful scenery of the other rides, as well as a jaunt through Old Orchard Beach and Saco to the quaint village of Kennebunkport, the summer home of George H.W. Bush. 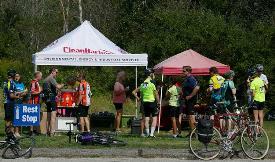 This is truly a spectacular century characterized by flat to rolling terrain, beautiful ocean views, and four rest stops staffed with friendly Eastern Trail volunteers.